hd00:14Puchong, Selangor, Malaysia; August 05, 2018; Cloudy time lapse during before rain at as-salam mosque. hd00:10Dramatic cloudy time lapse during sunrise at as-Salam Mosque. Zoom out mode. hd00:09Morning sunrise at mosque. HD timelapse. 4k00:23Beautiful Day to Night Time Lapse with reflection at a Mosque. Sultan Sallehuddin Abdul Aziz Shah Mosque in Shah Alam, Malaysia. 4K. 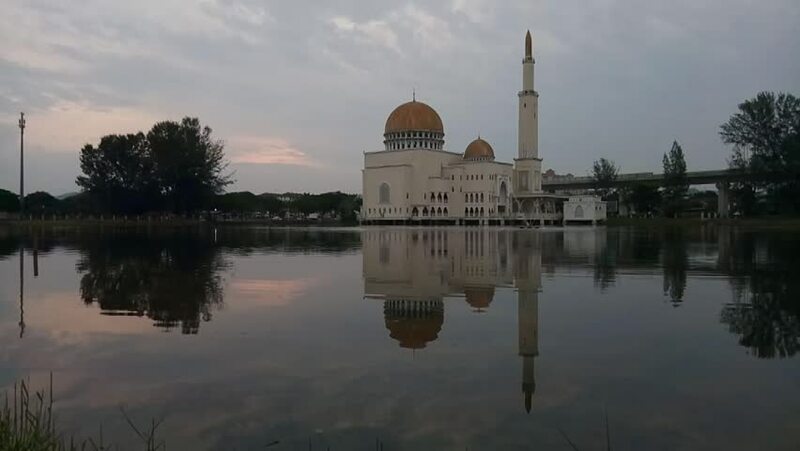 hd00:18Beautiful sunrise time lapse of a mosque by a lake with serene reflection and colorful clouds in Selangor, Malaysia. Full HD. Zoom out motion timelapse.